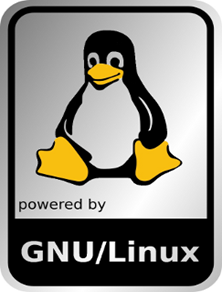 GNU/Linux is a free implementation of the Unix operating system. Unix type operating systems are used by many businesses due to its stability, security and reliability. Linux has become the most actively developed Unix type operating system due to its open architecture and thousands of programmers working to improve and advance the code. After a Linux system is set up it just continues to work with very little downtime. Usually the only maintenance required is to apply patches and software upgrades. Linux does not require antivirus software and will run on less powerful machines. Linux servers are ideal for file and print sharing, email and much more. GNU/Linux includes all of the applications to set up a reliable/secure server without the need to purchase extra programs such as email server, backup software, web application server and there are no client access licenses required. Updates are applied not only for the server but also for the thousands of applications that come with your chosen distribution. This avoids the problems associated with updating the operating system and then having to check for updates to each installed application that may stop working after an update. File and print sharing for Windows, Linux or Apple workstations. Easy to manage installation, startup, shutdown, service initialization, package management. Built for purpose – no bloatware and no extraneous applications clogging up what you really want to do - run the services that run your business. The platform for open and free computing – save not only on the operating system but take advantage of the fantastic array of free server software out there to compound the savings for your organisation. The ideal 'green' solution - whether it is virtualization maximizing your server efficiency or simply running a lean services across your network, Linux is a great partner in the drive to improve efficiency. Secure - the greatest risks to your business are eliminated. Continuous updates respond to the changing landscape of risk on an already hard to hack distribution.